My go-to alcoholic beverage is a gin and tonic, but it didn’t always used to be that way. In fact, I used to hate the stuff. A lot. Like, it was just nasty to me. Anytime my husband ordered the drink I’d take a sip. After all, it’s his favorite and there had to be some reason for that. After the first few times, I discovered I hated it just a little less each time I’d try it until miraculously one day I fell in love with it. Now it’s my favorite drink. Let’s talk gin. I used to think it didn’t matter which kind you use, but I’ve become sort of a brand snob with it. My favorite is Tanqueray or Tanqueray No. Ten (the top shelf version of Tanqueray). I also enjoy Bombay Sapphire, which is also a top shelf gin. Honestly, I feel that the top shelf gins are a little bit of overkill when you aren’t drinking them neat, but sometimes you just want a “special” gin and tonic. 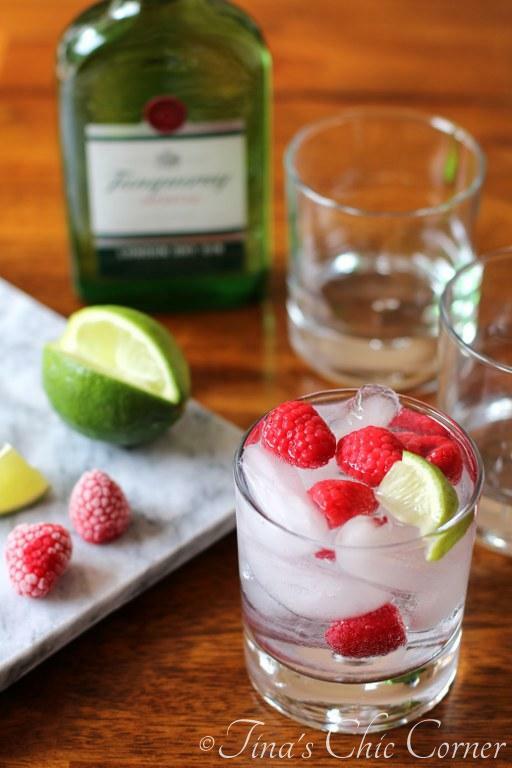 Tanqueray Rangpur is also a lovely option because it has a hint of lime flavor to it. I use that when I don’t have any limes handy (a slice of lime is essential in my gin and tonic). If you like the lime flavor to pop then this would be a great option (even with the slice of lime). My husband points out that I would be remiss if I failed to mention Beefeater, which is tasty as well. I think the point of this story is that there are a lot of really good gins out there, but don’t buy anything that is super cheap or your gin and tonic will taste a bit like nail polish remover and lime (which I’d imagine is exactly as nasty as it sounds). One time I was out at a restaurant and ordered a gin and tonic. When it came out and I tasted it, everything just seemed really weird. It took me a second to realize that they had accidentally provided a gin and seltzer. Tonic water is essentially quinine soda and the syrup for it at the bar is clear. When their magic soda nozzle thing runs out of syrup the stuff coming out the tonic nozzle looks exactly the same but has no flavor. Don’t be shy about pointing out that they probably ran out of tonic syrup and send the drink back for a replacement. The raspberries have a dual purpose here. They help to keep your drink cold and they are a tasty combo with the lime essence. I love to eat them last when they have soaked up some of the liquid. 🙂 You can certainly make this refreshing drink without the raspberries and in fact about 98% of the time I don’t include them. Please drink responsibly and don’t drink and drive. This is my first alcoholic beverage post, seriously don’t drive after drinking. Yes, I’m saying it twice. It’s super bad, don’t do it. Add the frozen raspberries to the glass as though they were just delicious ice cubes. Pour in the tonic water. Source: Any gin and tonic recipe from the last 300+ years. Note: Not a paid advertisement for Tanqueray, Bombay Sapphire or Beefeater. I’m just sharing my opinion. It’s definitely an acquired taste but I sure do find it lovely and refreshing. 🙂 Sorry for the late response but I hope you had a lovely weekend! This is just a girly version of a classic. Love it!! You know what, I think you just explained to me why I’m not such a gin fan; I’ve always served it with soda water thinking that was somewhat equivalent to tonic. Gotta give the tonic a try 🙂 Looks delicious and love the raspberries. Enjoy them while they’re still around, right? Oh really? I wonder if you’ll notice a difference now. 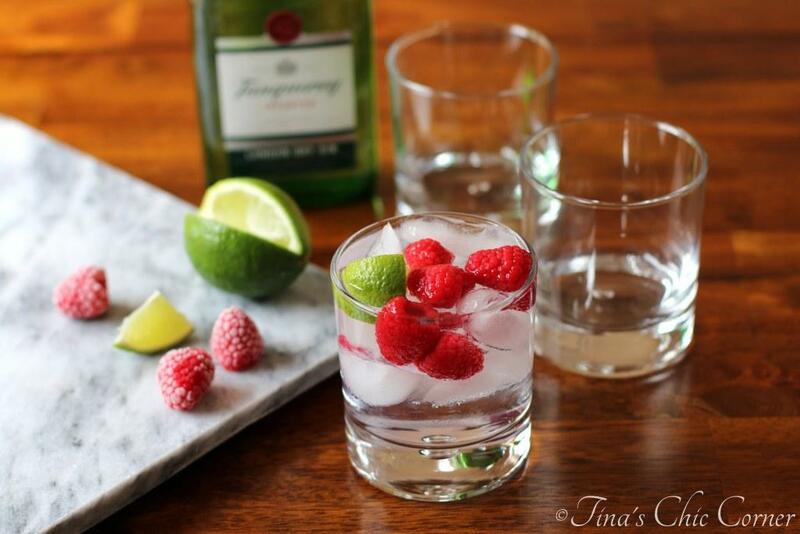 I love a good gin and tonic.. never tried one with raspberries before. Great idea! Hehe… well, kudos to you for doing whole30! Im not much of gin drinker, but once in a while I have a glass, next time I’ll make it your way. Confession: I think gin tastes like Christmas trees. Is that weird? Is that a thing? I’ve been getting more and more on the “drinks with lime” train though lately, so maybe I just need to keep giving these a try. They sound so refreshing! Hehe, no that’s not weird at all. I used to think it tasted like household cleaner (not that I’ve actually tried it, but it smells like it tastes sort of deal). How or why my taste buds changed, I’ll never know. I think alcohol is one of those things where you either like it or don’t. Somewhere in my head Gin & Tonic means summer & hot poolside gossips with my bestie. I’ll be sure to add in some raspberries next time, they look & sound delicious.